Cornelia “Connie” Kathryn Stearns, the daughter of Frank and May Fern (Hoiser), was born on September 6, 1929, in Plover, Iowa. She was raised in the Plover area and graduated from Manson Schools and for a brief time attended beauty school. On March 12, 1950, Connie was united in marriage with George W. Kraft in Manson. The couple established their home in Goldfield where she was a homemaker and worked as a waitress in several local area restaurants. Connie was an active member of the United Methodist Church in Goldfield, where she taught Sunday school, participated in U.M.W. and helped with mission sewing projects. She was a member of the Eagle Grove Chorale, Goldfield’s So-Sew Club and helped with Congregate Meals in Goldfield. Connie loved being with her family, gardening, cooking, baking (especially bread), canning, quilting, sewing and embroidering. She also enjoyed taking care of the farm animals, her pets and feeding and watching the deer and birds. Connie was especially proud of her Christmas cactuses. 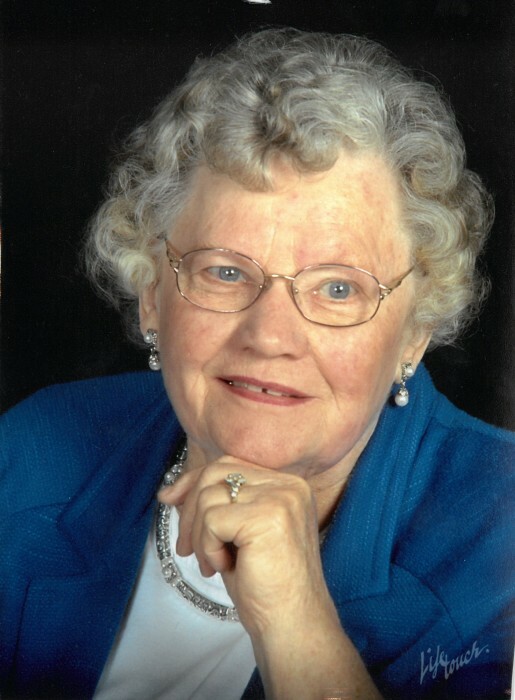 Connie passed away on Wednesday, January 23, 2019, at the Paula Baber Hospice Home in Fort Dodge, at the age of 89 years. She was preceded in death by her parents; her husband George; seven sisters, Olive Stearns (in infancy), Eunice Maulsby, Florence Dickinson, June Hotovec, Betty Sease, Dorcas Brazier and Rachel Freeman and four brothers, Clarence, Paul, Frank Jr. and Alan. Connie is survived by her three sons: Mike Kraft (Diane), Greg Kraft (Ramona) and Roy Kraft (Jodi), all of Goldfield; four grandchildren: Joanna Carlson (Ben), Daniel Kraft (Nicole Roth), Sarah Kraft and Jenna Kraft; two sisters: Joy Sorensen of Goldfield and Jackie Hudson of Fort Dodge; sisters-in-law: Betty Stearns of Gilmore City and Nadene Nutter of Shelton, NE and many nieces, nephews and friends. Funeral services will be held on Saturday, January 26, 2019, 9:00 a.m. at United Methodist Church in Goldfield with Rev. Lynn C. Gardner and Rev. Sara Sutter officiating. Visitation will be held Friday from 5:00 to 7:00 p.m. at the Foust Funeral Home in Eagle Grove. Burial will be in Glenwood Cemetery in Goldfield.